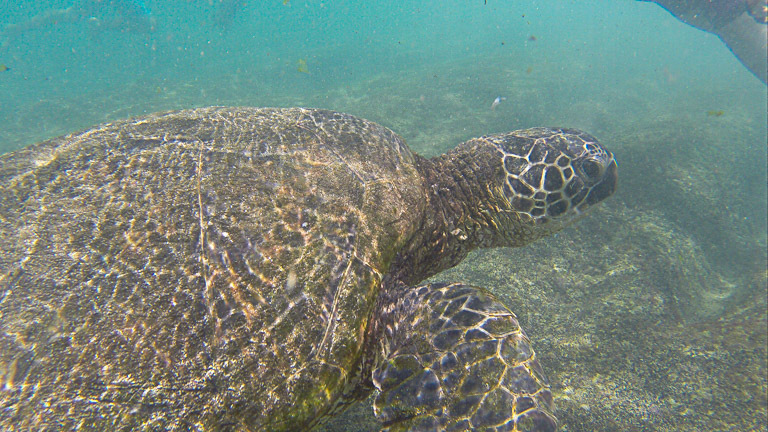 Hawaiian green sea turtles are just so majestic. I’ve been hoping to see one swimming in the water, but before this weekend, I had only seen them on the shore. 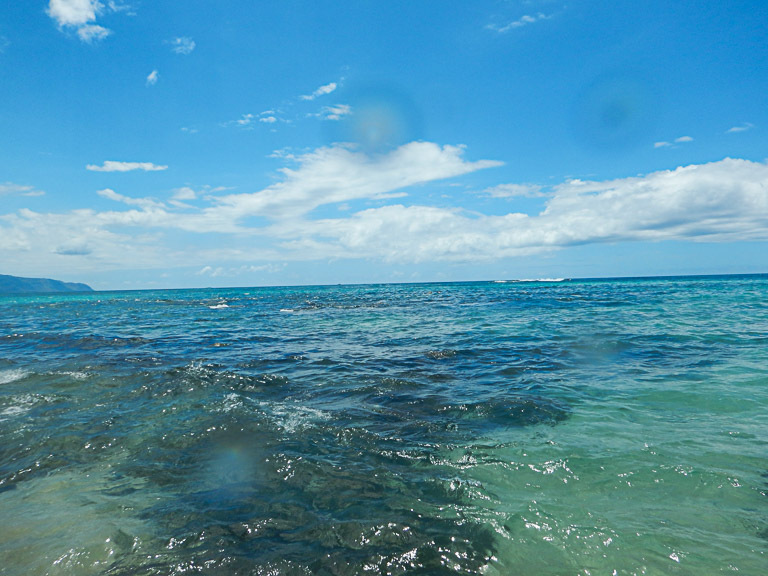 A Google search of “the best place to see turtles on Oahu” will immediately direct you to Laniakea Beach in Haleiwa, so that’s where we went. 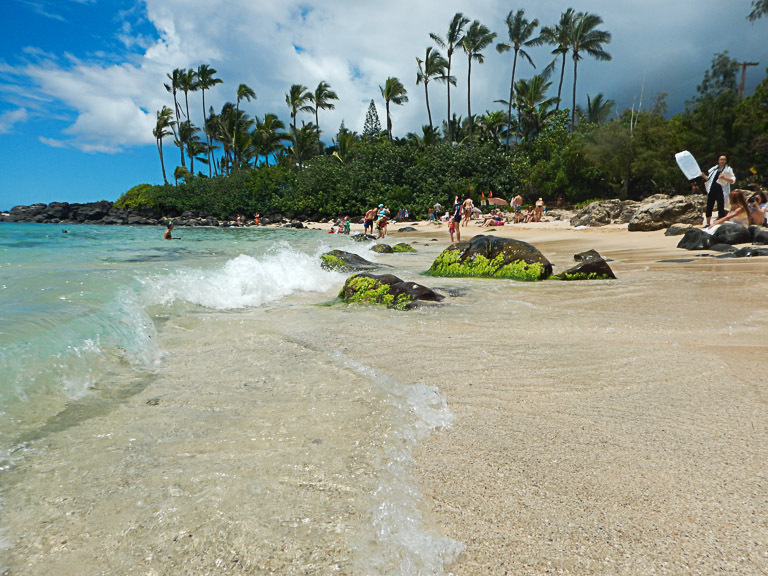 Laniakea Beach is no secret, but it’s a little bit hidden. You don’t even see it from the road. 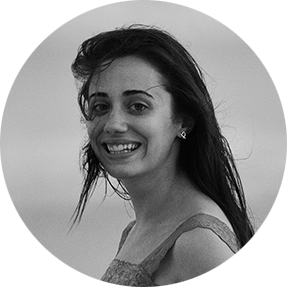 You have know exactly what you are looking for, but thanks to TripAdvisor, that is pretty easy. Once you get there, you park in front of a stable, walk across the street, and then go down a big hill in order to find it. So I like to think it’s a little bit of a secret. 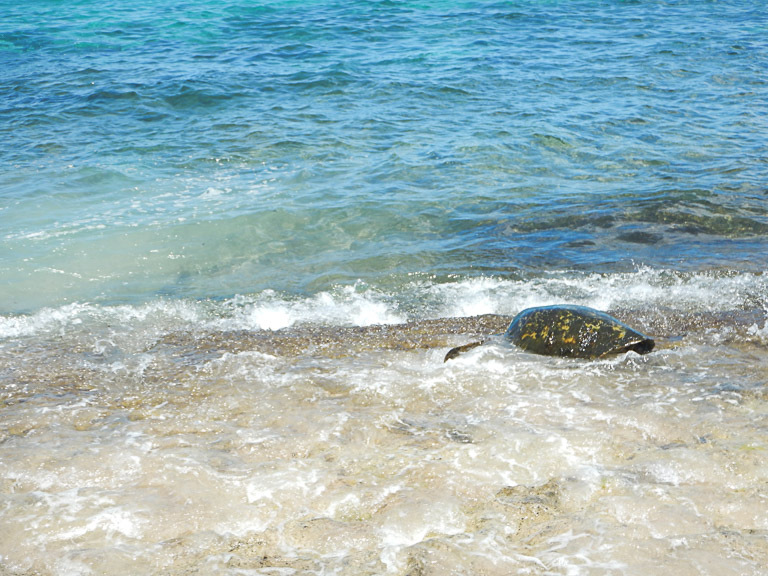 The beach is a resting and feeding area for Hawaiian green sea turtles. 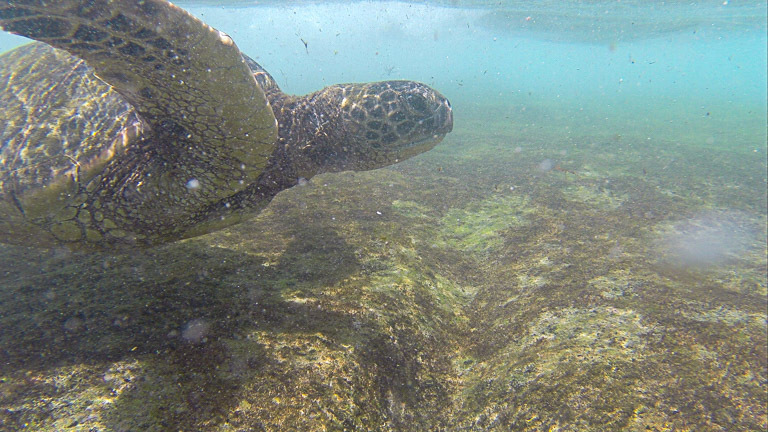 Hawaiian green sea turtles love this beach because they love to eat all of that algae growing on the rocks. There is so much food for them to eat here! As soon as we got onto the beach, we saw these beauties hanging out on the shore. There were a bunch of people taking pictures, but there were also a few volunteers making sure that people stayed far enough away to let them rest, because they are a critically endangered species. They had the area roped off so that you couldn’t go too close. 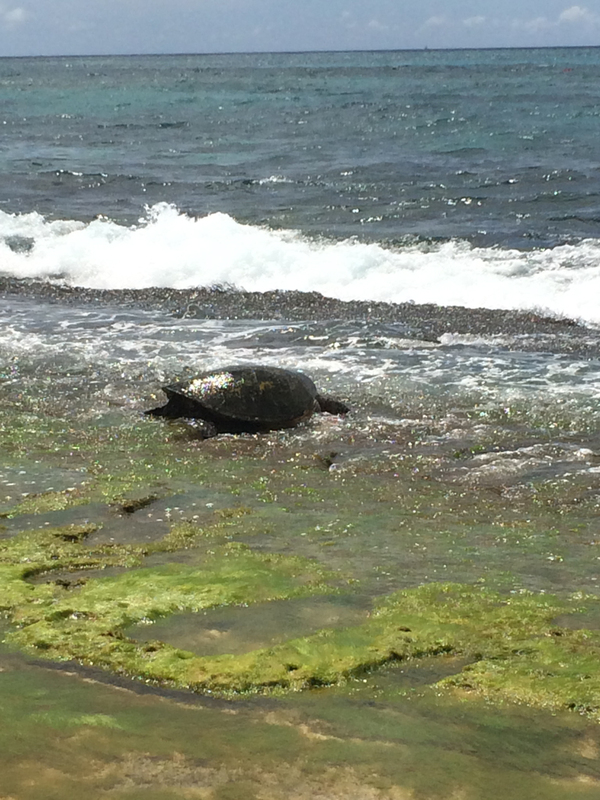 Then we saw a few turtles playing in the waves. They like to have fun – they hang out where the waves break and let the waves bring them in and out of the shore. 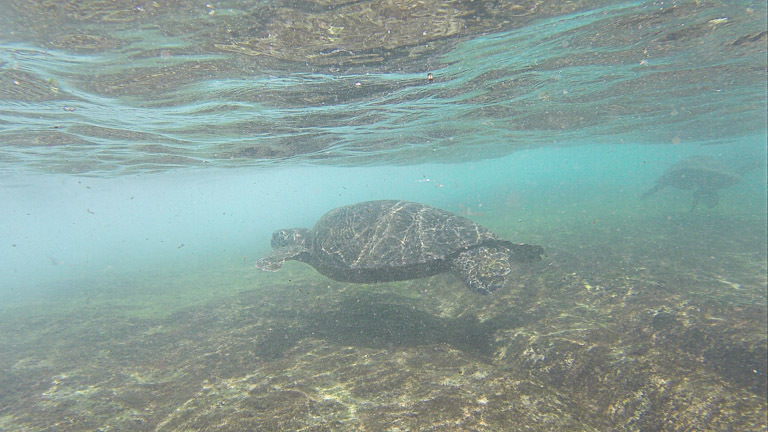 Do you see the turtle playing in the water?! She’s on the left side. So cute. 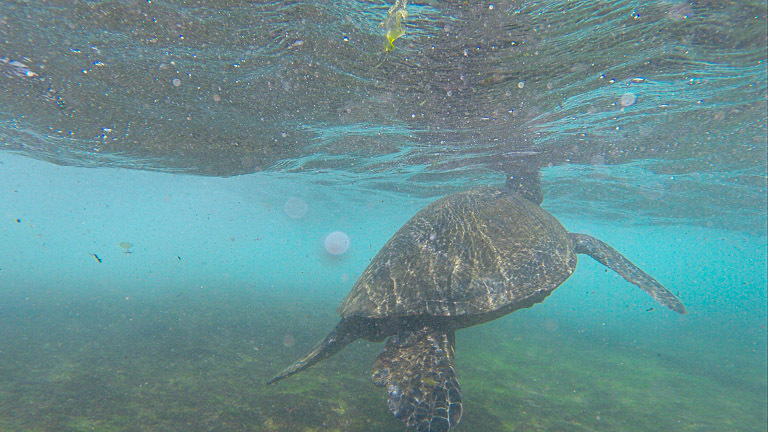 I could have just stood on the shore watching the turtles playing all day, but of course I wanted to go in the water too! 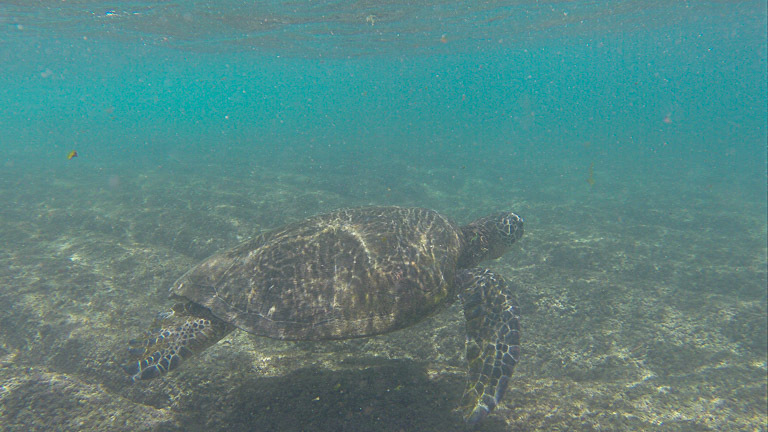 We ended up seeing more turtles than I could count. 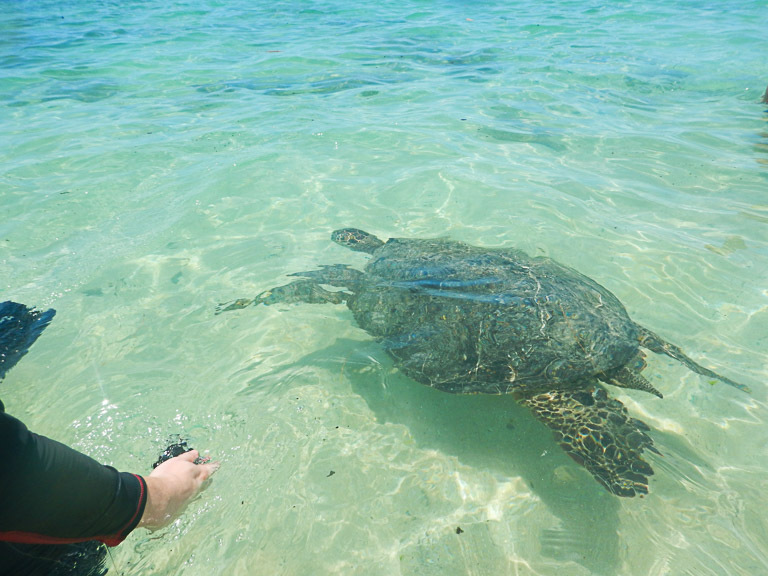 As soon as Nick and I got into the water – before we even put our fins on – the biggest sea turtle I’ve ever seen came up to us. 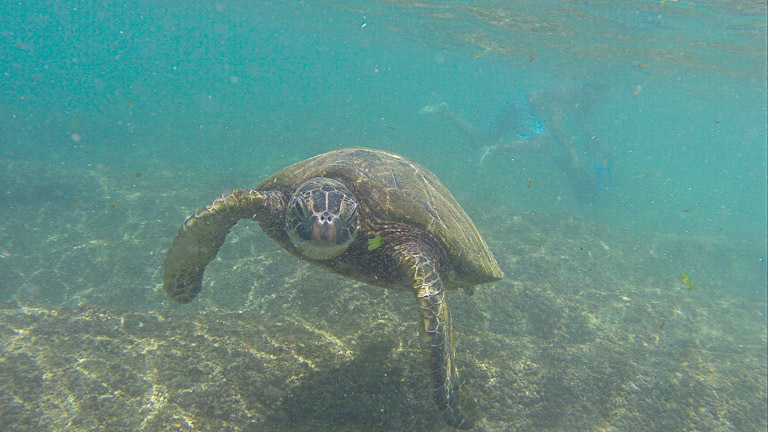 Look at that turtle!! 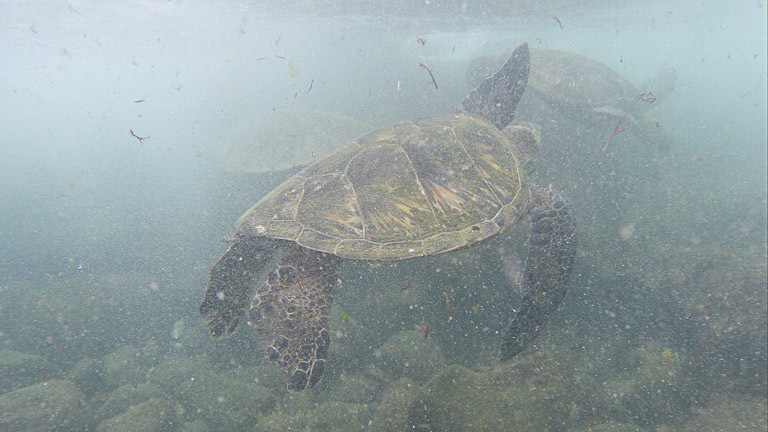 Once we started snorkeling, the turtles started swimming all around us. 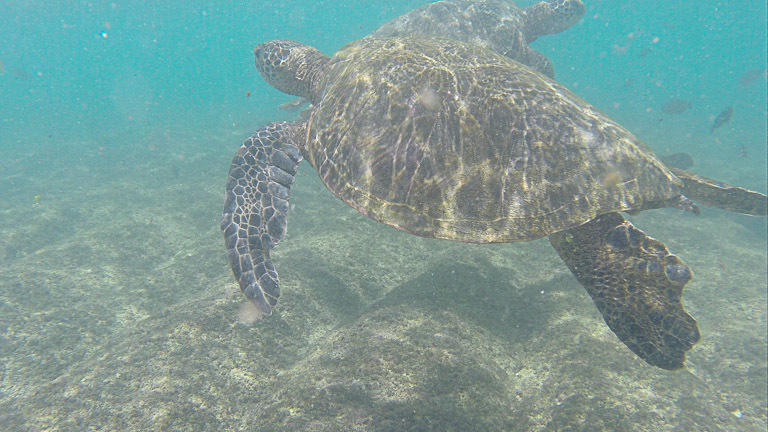 It is illegal to touch a Hawaiian green sea turtle or harass it, so I was kind of nervous about being so close to them. But they would just come over for a few seconds and then go on their way. 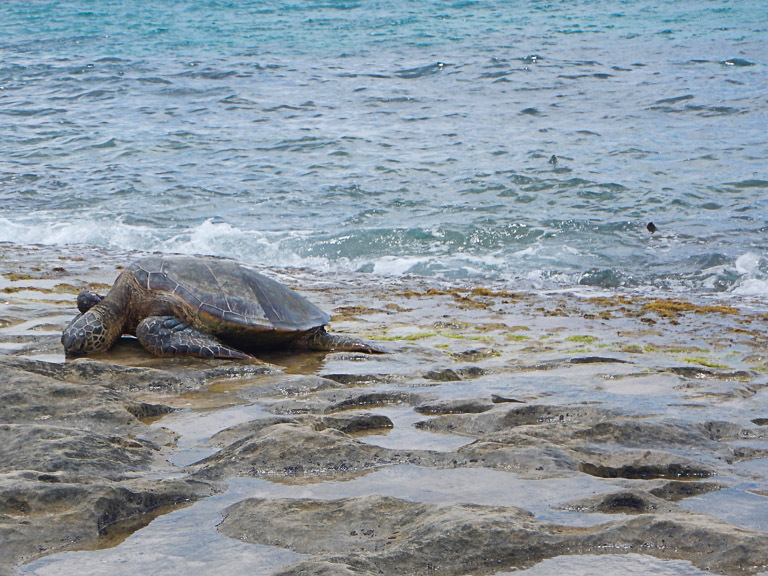 Everywhere I looked, there were turtles. I went to this beach hoping to maybe see a turtle swim by, but here they were, dozens of them swimming with Nick and me. 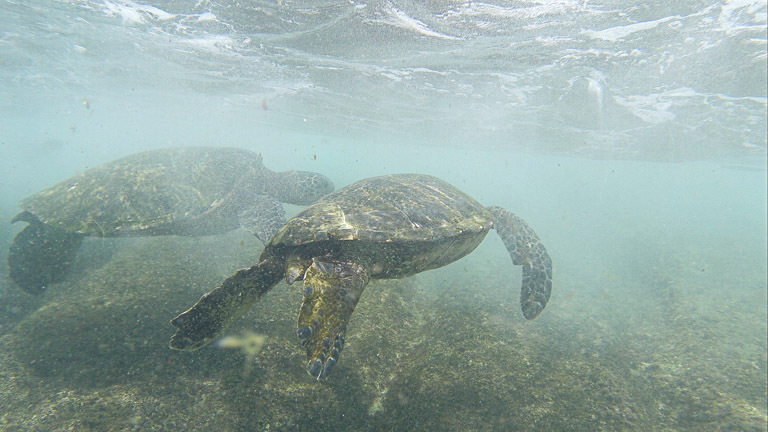 We saw them eating, going up to the surface for air, swimming around, and riding the waves. 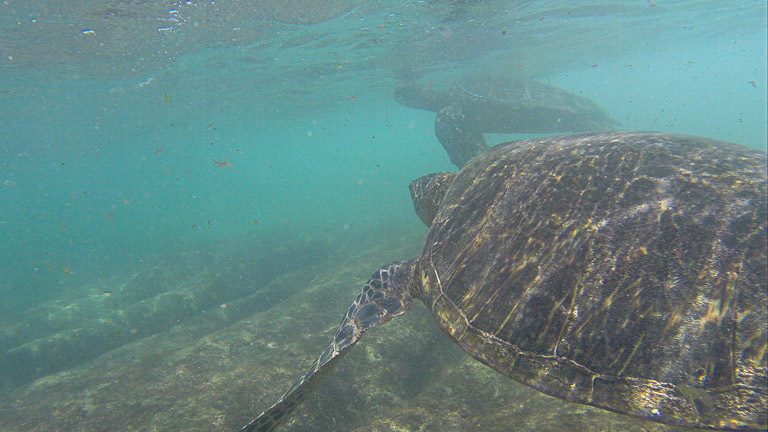 As the turtles swam all around me, I felt like I was a part of a completely different world; I had never experienced anything like this before. 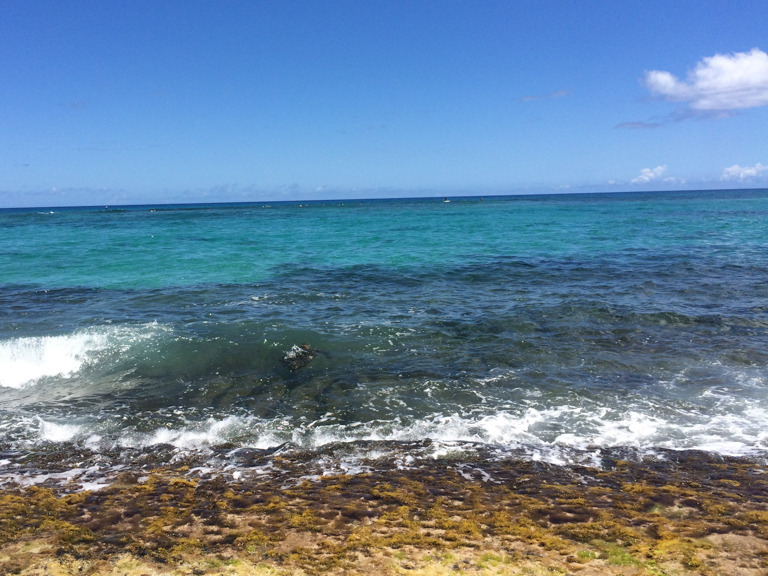 It was a magical few moments in which I felt like Hawaii was giving us a precious gift. I was just in awe as I tried to take in their colors and the patterns of their shells as I watched them glide through the water. 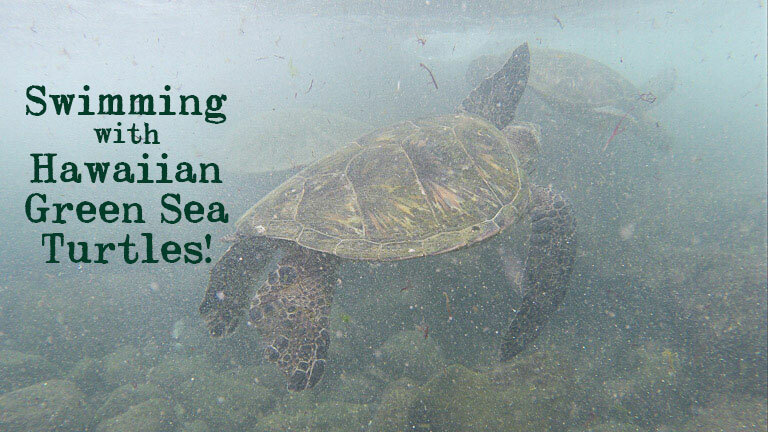 I hope that we are able to help save this incredible species, and that I will have the chance to bring my children to Hawaii one day and share this experience with them. 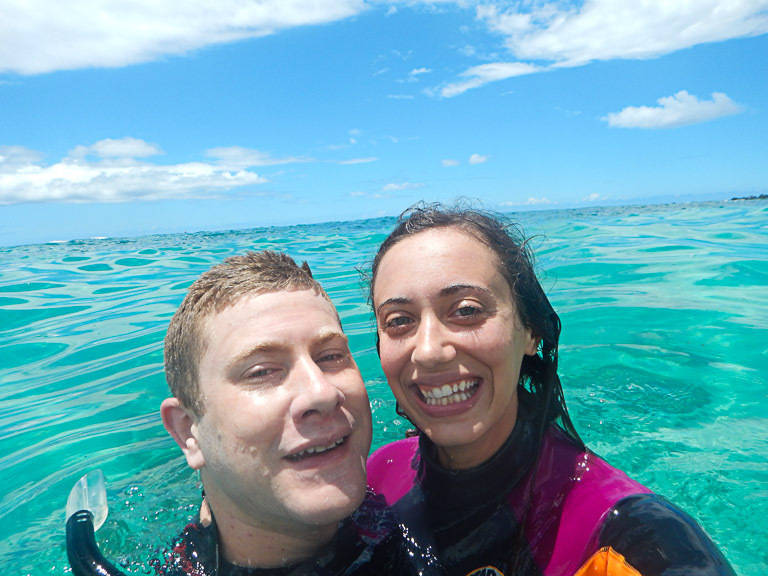 We had to go for a snorkeling selfie. I think we nailed it. 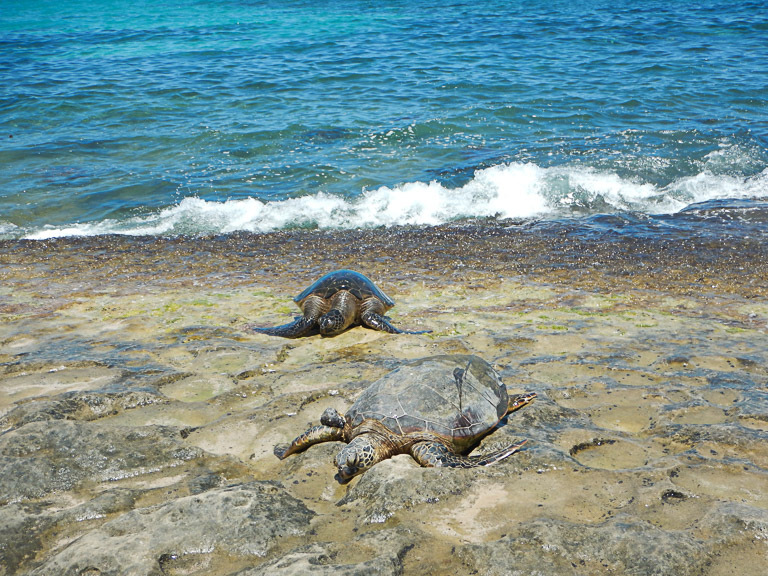 After we got out of the water, we stood by the beach for a while, watching the turtles closer to the shore. 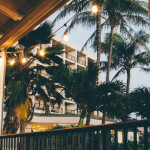 This was one of the best days I’ve had in Hawaii, and I am so glad I got to share it with Nick. I can’t wait to go back! This is definitely a new place I absolutely must take everyone who visits me. The coolest! 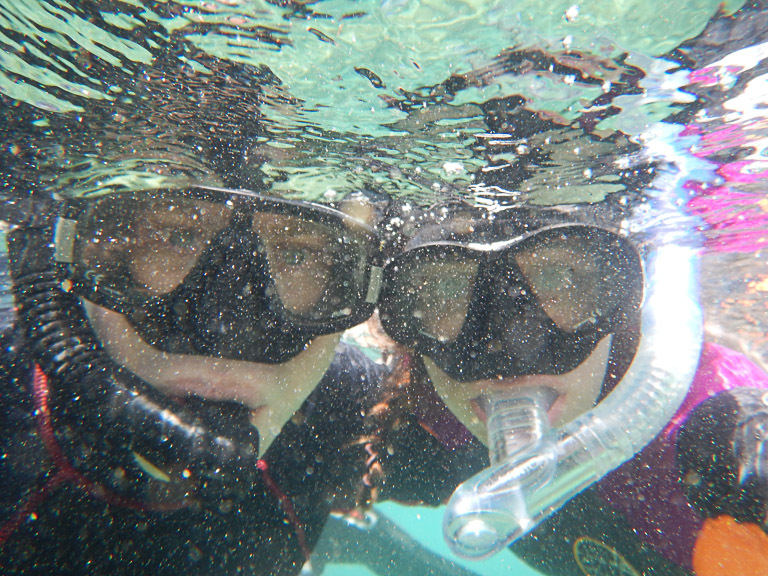 You guys did nail the snorkel selfie! So cute! Hahaha, thanks! 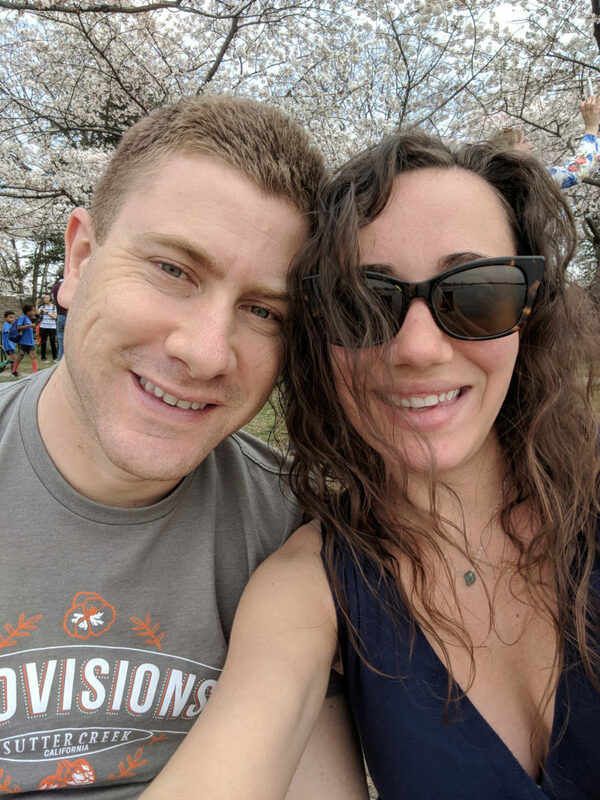 We’ve gotten pretty good at selfies, if I do say so myself! 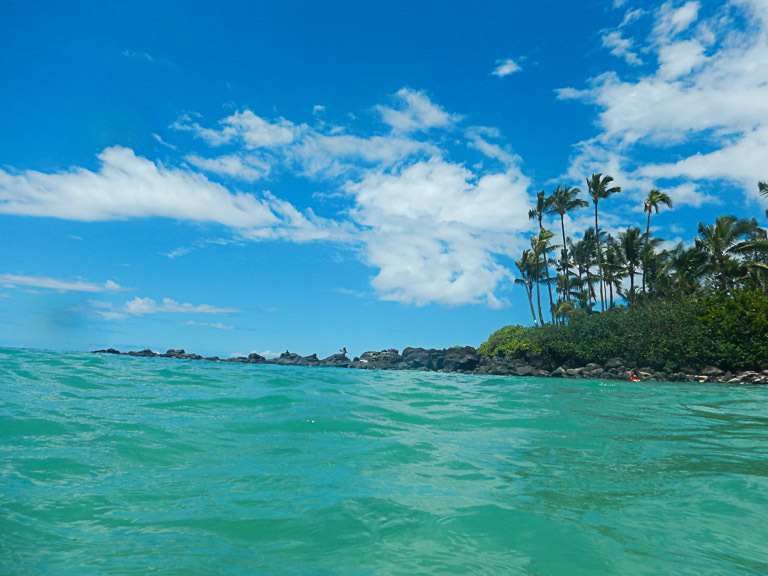 I hope you get to check out this beach. 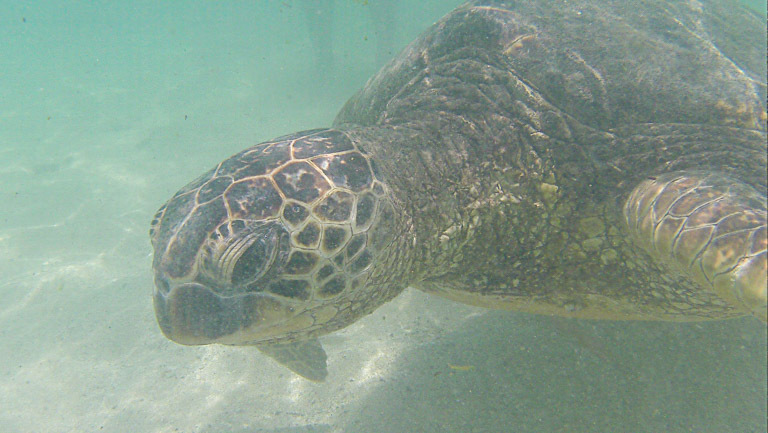 Even if you can’t snorkel, you can see so many turtles on the shore and in the water — just from being on the beach! Love this! I want to do it next time I come! I wish I had known about this place last time you were here, Alan! But now you have something new to do next time you visit. When are you coming back?! I love when you come to visit! ANYHOW, you two are awesome and this sounds like THE coolest! hahahaa! It totally looks like a turtle to me! 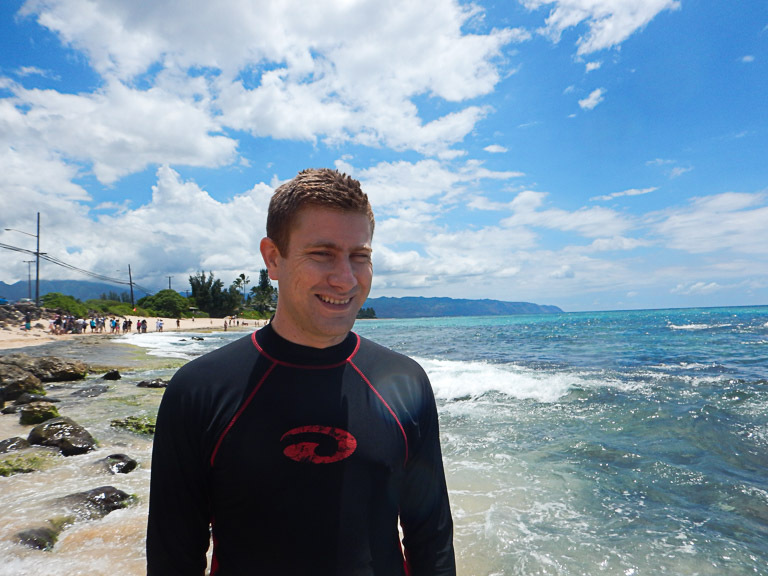 Thank you for teaching me all about snorkeling – if I wasn’t for you, I never would have done this! Hey Carolann—I’m curious. 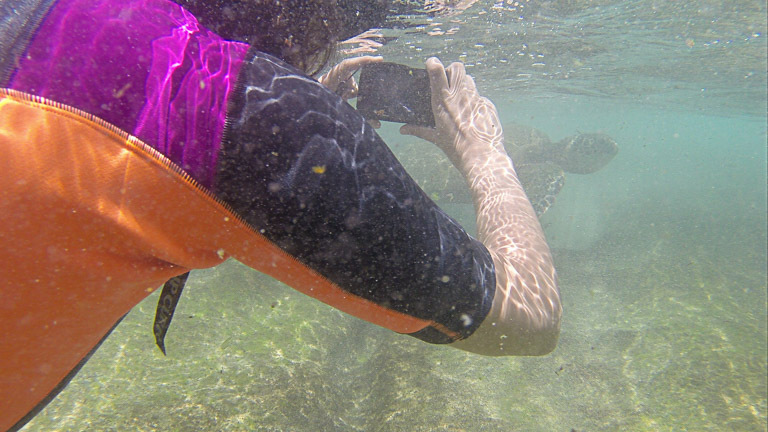 What kind of camera did you use for these underwater pics? 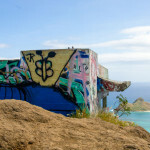 I am planning a trip to Oahu next year and would love to have a decent underwater camera. Thanks, and I enjoy your blog. Just found it! I love it! I think you get really good quality pictures. 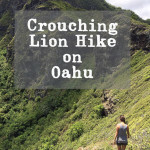 I hope the blog is helpful to you as you plan your trip! 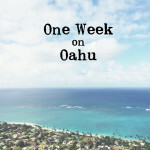 Please let me know if you have any other questions about Oahu! I love to help people plan!